Jeff Patchell hit the road to catch up with a bloke who decided it was time to part with his thousand-strong collection of keepsake items – any one of which most of us would kill to have in our own man space. Neil Sedaka once sang, ‘Breaking up is hard to do’ and that’s exactly what Neville Locker of Adaminaby, out near the shores of Lake Eucumbene in the Snowy Mountains region, had to do… a thousand times over. I’d heard about this huge clearing sale coming up and decided to take the drive to this picturesque part of Australia. 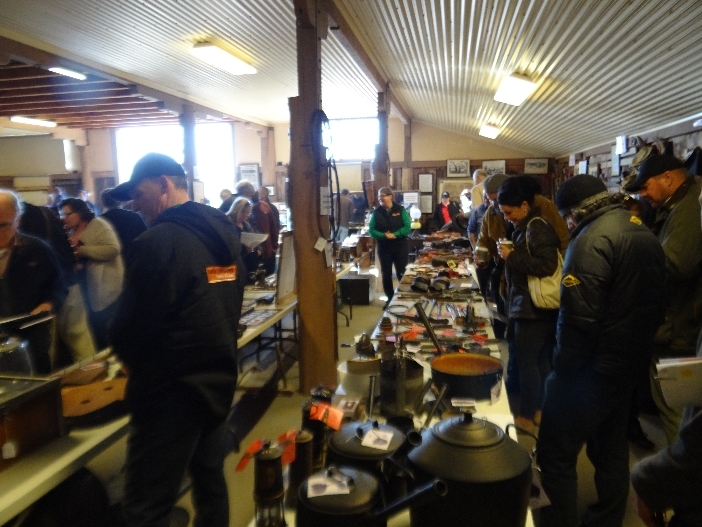 The early morning winter chill did little to deter prospective buyers and onlookers as they arrived in droves from all over the country. Word was out that Nev was selling up and that excited many an avid collector – with interests across a whole range of collection categories. 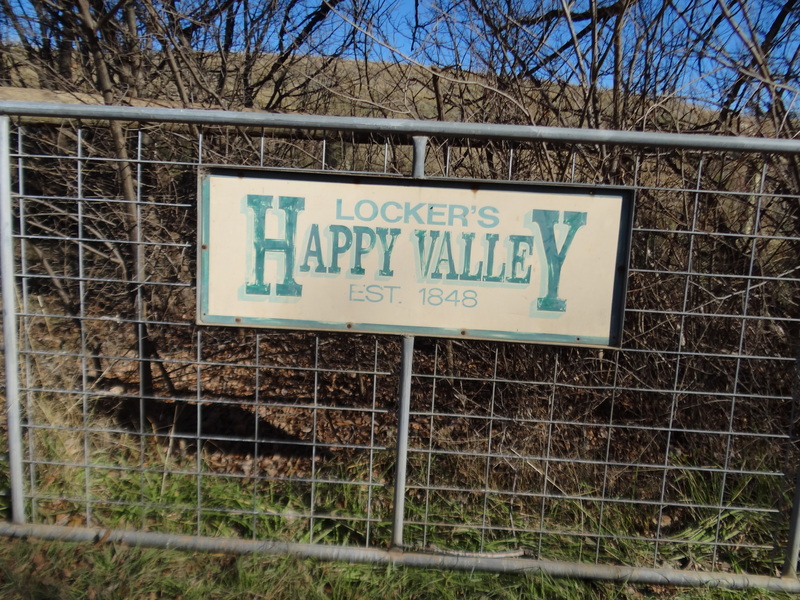 The Locker’s story started way back in 1848 when the Happy Valley property was settled by Nev’s forebears. They controlled around 7500 acres but the stock mostly roamed the high country for the summer months and came back to Happy Valley in winter, as it is only 1000ft up and rarely sees a snow drift – though Mt Kosciusko adorns the backdrop. Adaminaby was a pretty quiet place back then and even today is hardly a thriving metropolis. Early settlers in the area included Ben Boyd, who made his name in whaling off the coast of Eden and whose name is memorialised via the Ben Boyd National Park. Some of these families were the true pioneers of Australia, so antiquities from those early days are much desired by collectors. In 1962 Neville decided that farming life alone was not going to cut it and became buoyed by the increasing number of people visiting the area. Busloads of tourists were taking in the newly opened Snowy Mountains Scheme with large numbers of travellers making their way to the snow fields. The general population across the Monaro Plains region was also increasing. 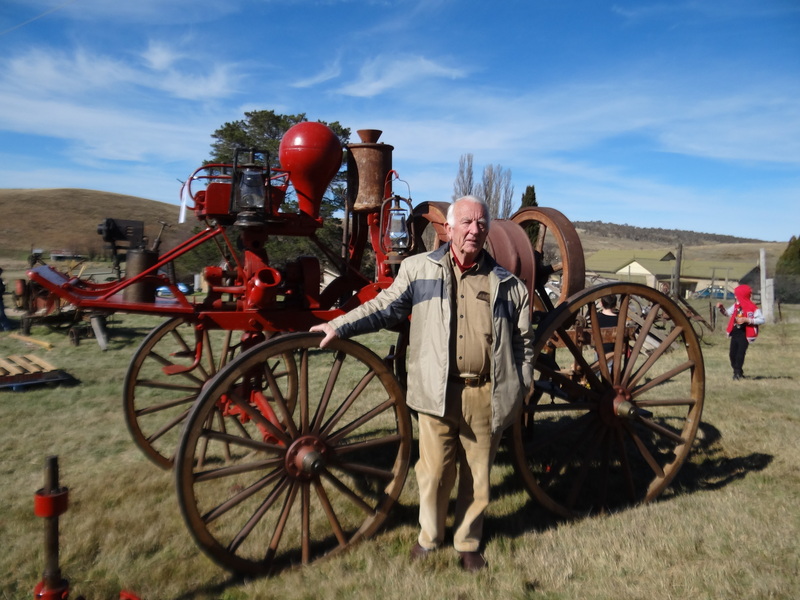 He couldn’t help but think these visitors would also be interested in the local history, which led him to establish a heritage museum on the outskirts of Cooma. He bought an old pub, some acres and set up his museum. For a number of years he had been quietly amassing items of interest and his father was more than pleased when he shifted them from their property to the new museum. This only spurred him on to search for more antiquities. Many properties in the region that had been settled back in the 1820s were consumed by the Snowy Mountain Scheme’s Lake Eucumbene and much of their historical items ended up on higher ground before the flooding of the artificial lake. In the late 50s and early 60s Neville said the locals had no great interest in preserving these historical items, so he stepped in. Interestingly enough, once the museum was established, people started bringing in uncovered items to add to the collections. Neville started to round up a lot of new materials in order to broaden his museum. Fortunately the areas’ climate is such that any metal left in the open will not rust in 100 or more years, meaning it’s the perfect preserve for such historical collectables. In its glory days, the region boasted of 23 major properties, hundreds of thousands of sheep and cattle as well as a gold rush and the odd bushranger. Everyone seemed to leave something behind to collect. In its heyday Neville’s museum opened its doors to 35,000 tourists a year but after 20 years, bureaucracy (remember Canberra is not far away) caught up with him in the form of the local council re-zoning his site, which meant he couldn’t add any further buildings. As a result, Neville up and left and shifted the museum’s contents to the Happy Valley property and a new super-sized shed. That move allowed Neville and his wife at the time to ease back a bit and just open the museum to pre-booked buses and tourists. Being positioned on the main road meant the original museum was open seven-days a week, and for long hours, to satisfy the busloads of tourists coming in at all hours. 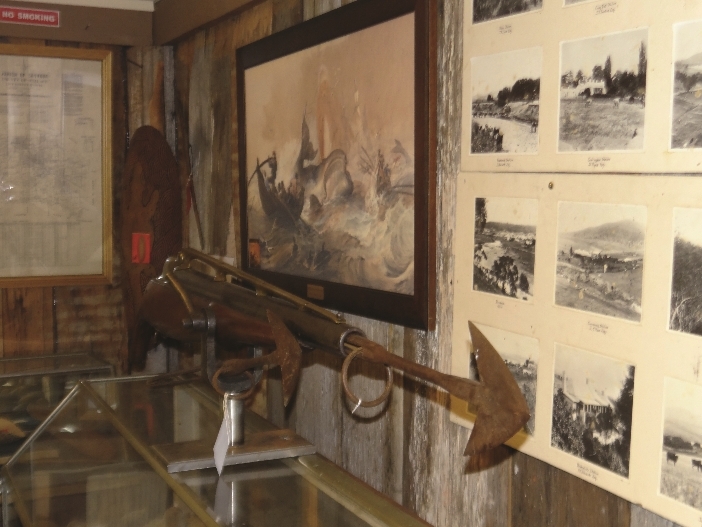 One of Neville’s keen areas of interest has been early police firearms, as well as convict items. On auction weekend, these were some of the most eagerly sought after items. It seems that after the war a lot of early firearms (police, bushranger and settlers) were taken home by American soldiers who knew the value of them. In order to build his collection Neville made a number of trips to the US and repurchased many firearms. He also rounded up a lot of convict materials down around Sydney and the Blue Mountains and one of the prized items auctioned was a convict jacket from the Bathurst Berrima Gaol that brought a final bid topping $45,000. Like all auctions, some items went for prices far above expectations and vice versa. Neville had a lot of whaling gear, which at first seemed unusual as he is quite some way from the coast. 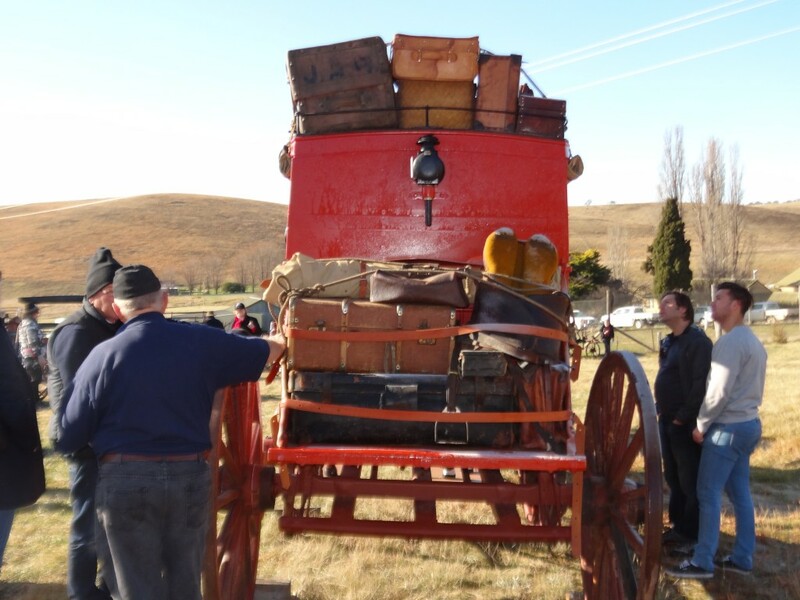 He explains that Ben Boyd was also the largest land holder up Cooma way and he brought a lot of his whaling gear up by wagon during the off season, so that it wouldn’t rust away. Neville also supplemented his whaling collection with items sourced from Tasmania and elsewhere. At the auction, the National Museum purchased one of the classic items on the day, a magnificent looking 1850s Greener Whaling Gun and Harpoons which went for close to $10,000. 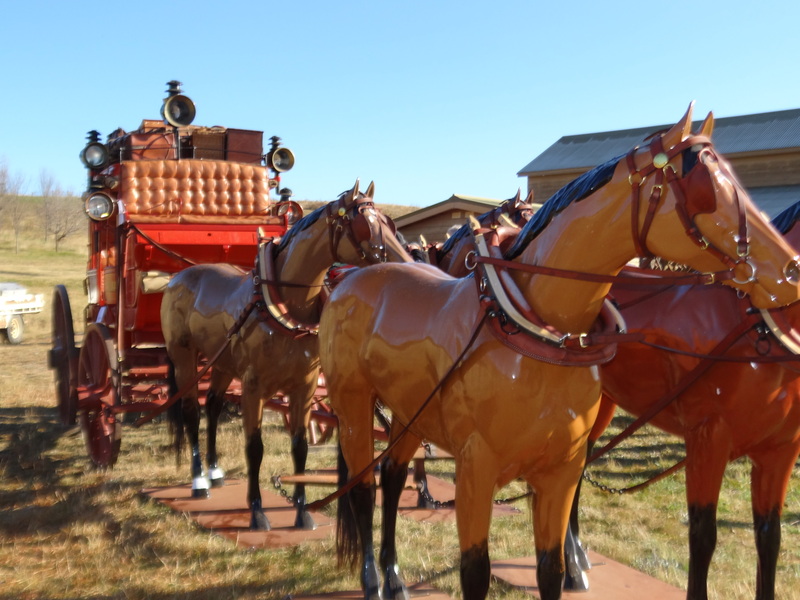 The Locker collection also included a number of buggies and other horse drawn vehicles, but the eyebrow item was a fully rebuilt/restored Cobb & Co coach. The new owner from far North Queensland paid in excess of $90,000 for an item that Neville suggests has an interesting history. During the great depression, few people could afford trucks and as these old coaches had such good wheels and under carriage, they chopped them up and made wagonettes out of them. Neville found a number of these old wagonettes on properties in the district and bought them up; then with the assistance of a coach builder at Bathurst they completely rebuilt this Cobb & Co coach example using the old fashioned techniques and hidden joints of the time. For his retiring years, Neville intends to sell his property and its wonderful (empty) shed that he built with his son. He’s found solace in the fact that these historic items that were auctioned, are now with owners who will treasure them and preserve their history, just as he did.